Guys, what Australia is this? "A woman has been left traumatised after her head was smashed into the side of train carriage during an apparent racial attack in Melbourne's north. The 26-year-old victim was on an Upfield line train outbound on Thursday night when she was approached by another woman, who began hurling abusive and racist remarks. The woman grabbed the victim by the neck and hair, and forced her head into the wall of the carriage several times. She then pushed the victim off the train as it rolled into Batman Station in Coburg North." It cannot have come to this. We're so much better than this, really, we must be. Yes, there are terrible things happening in the Middle East, but let that not destroy us from within. I wish I could be witty and satirical at this point, but it would only serve to sound a little bit jaded. A fellow rig guy said to me once: "the things is, you can make a terrorist joke...but we don't know if you're kidding or not." I could focus on the negatives, and there are a lot. Check out Media Watch's wrap up if you'd like some proof. However, instead, I choose to focus on the fact that even though there is a lot of misinformation and hatred out there (which does not deserve traffic from my blog, no matter how meagre, so won't be linked! ), there is also a lot of good. Follow the hashtag #WISH on twitter, and check out some of the empathy and solidarity shown. 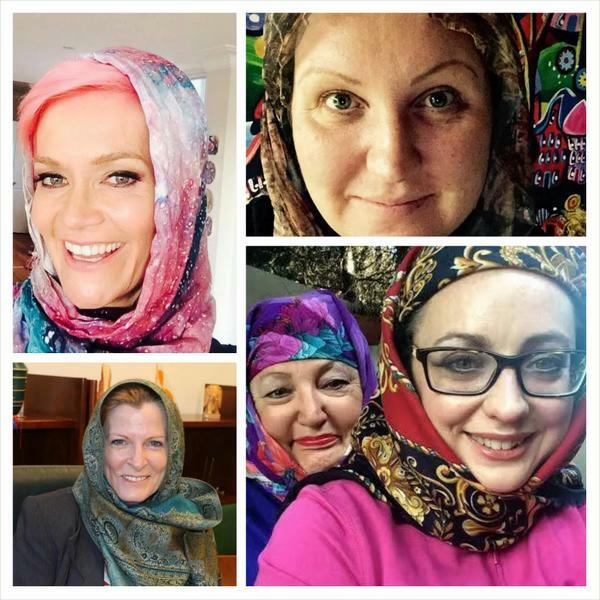 Meet some regular Aussie Muslims here. If you're curious, check out my new favourite Tumblr that is about Sharia, PartyTilFajr. 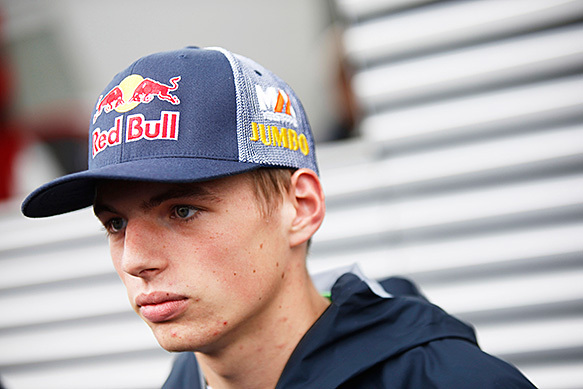 The Dutch racing driver is set to become the youngest on the track during an F1 weekend, three days after his 17th birthday. I guess there is nothing like some F1 familial pedigree to ensure your rear end gets a seat. As much as I adore / love / live for Formula 1, there is no doubting the decadent and brazen level of nepotism and elitism that exists within its ranks. I originally wrote this piece on the day of the Bahrain GP for the International Political Forum - check it out here! The F1 world exists in a bubble of its own. Although highly political, its politics are usually internal, and as such the domestic politics of the host nation rarely rates a mention. Granted, (by and large, with exceptions of course) most of the races are in stable states, and so voicing of political concern is either verbal or doesn’t make the international news. That is why the case of today’s race in Bahrain is very interesting indeed. Just briefly – the Bahraini race was the result of the work of King’s son, Crown Prince Salman bin Hamad al-Khalifa, who thought it would be a great way to put Bahrain on the international radar. It worked wonderfully in doing so, and its first race in 2004 was a huge success (according to the BBC at any rate), both domestically and internationally. The problems only really started appearing in early 2011, when the island nation got swept with Arab Spring fever, and the Shia majority began protesting in earnest against the ruling Sunni minority. Their main issue is with the human rights record of the government (which, as the Bassiouni report showed, is a spotty record indeed). The race was cancelled that year. A brief roundup of those events by the BBC can be found here. So where does that leave Bahrain and Formula 1 now? The world motorsport’s governing body the FIA and the promoters Formula One Management (FOM), caught in the middle, have simply said the event will go ahead. “We’re not here, or we don’t go anywhere, to judge how a country is run”, although he did also mention that he thought the government was “stupid” to put the race on, as people will use it [emphasis added] as a platform for protesting. Bernie is right in a way; trying to figure out which side is right or wrong never ends well. There are too many shades of grey. What the true question is about though, is how much of a role as Formula 1 plays in domestic and global politics. Much of the media focus has been around the protests, whether Formula One as an event should be in Bahrain, trying to figure out if there is a “morally” correct side to be on. The sad fact of the matter is if Formula 1 hadn’t come to Bahrain, the country wouldn’t rate a mention in any international paper. It certainly doesn’t appear to have done so, especially not alongside the even more unfortunate tragedies of Egypt and Syria. Formula 1 is both a sport, and a business. From a business sense, no, it isn’t desirable to be associated with or seen to be friends with a government that is denying its citizens human rights. But sport is a common language. Like music, sport has an uncanny ability to transcend politics and bring people together. Granted, this isn’t the Football World Cup, but it is a huge international event, with lots of focus on a nation where the battles are usually forgotten. It is understandable that protestors are upset that the Formula 1 circus is coming to town – they are likely to be upset at many of the ruling party’s initiatives. But the race can be seen as an opportunity for their nation to bring their issues to the attention of the international media. Not that this is what Bernie Ecclestone wants, but Formula 1 doesn’t have to find the answers. It is only a sporting event after all, not the mediation arm of the United Nations. No, Formula 1 doesn’t have all the answers. What it does have is an amazing capacity to draw the attention of millions of people towards various places, and in doing so, highlight the goings on in that state. It is that opportunity, that captive audience, that international focus. That is the power of Formula 1. Some might see sport as a frivolity, but it has an important role to play – in its own unique way – in the journey of every nation. After all, the Formula 1 coming to town is one the main reasons we are all talking about the plight today anyway, isn’t it?